Malcolm Hansen arrives on the scene as a bold new literary voice with his stunning debut novel. 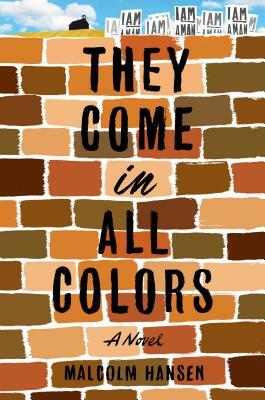 Alternating between the Deep South and New York City during the 1960s and early '70s, They Come in All Colors follows a biracial teenage boy who finds his new life in the big city disrupted by childhood memories of the summer when racial tensions in his hometown reached a tipping point. It's 1968 when fourteen-year-old Huey Fairchild begins high school at Claremont Prep, one of New York City’s most prestigious boys’ schools. His mother had uprooted her family from their small hometown of Akersburg, Georgia, a few years earlier, leaving behind Huey’s white father and the racial unrest that ran deeper than the Chattahoochee River. But for our sharp-tongued protagonist, forgetting the past is easier said than done. At Claremont, where the only other nonwhite person is the janitor, Huey quickly realizes that racism can lurk beneath even the nicest school uniform. After a momentary slip of his temper, Huey finds himself on academic probation and facing legal charges. With his promising school career in limbo, he begins examining his current predicament at Claremont through the lens of his childhood memories of growing up in Akersburg during the Civil Rights Movement—and the chilling moments leading up to his and his mother's flight north. Malcolm Hansen was born at the Florence Crittenton Home for unwed mothers in Chattanooga, Tennessee. Adopted by two Civil Rights activists, he grew up in Morocco, Spain, Germany, and various parts of the United States. Malcolm left home as a teenager and, after two years of high school education, went to Stanford, earning a BA in philosophy. He worked for a few years in the software industry in California before setting off for what turned out to be a decade of living, working, and traveling throughout Central America, South America, and Europe. Malcolm returned to the US to complete an MFA in Fiction at Columbia University. He currently lives in New York City with his wife and two sons.